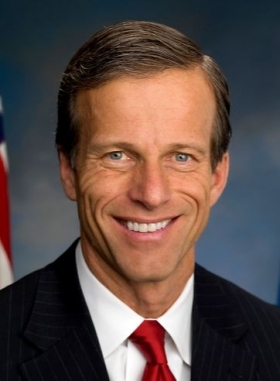 Sen. John Thune: Renting cars under recall would be OK as long as they are disclosed. WASHINGTON (Bloomberg) -- A U.S. Senate panel unveiled a plan to roll back protections consumers get when renting cars with potentially lethal safety defects, an approach a safety advocate called a step backward. Under a bill introduced Thursday by U.S. John Thune, R-S.D., chairman of the Commerce Committee, rental-car companies would be able to offer vehicles with unresolved flaws as long as they disclose the defects in writing to the renter. Consumer groups have pushed for laws to prevent rental of defective cars. Legislation such as the Raechel and Jacqueline Houck Safe Rental Car Act was considered by the Senate committee as recently as 2013 but never became law. The panel this year switched to Republican control. The Senate Commerce plan could cause car-rental companies such as Hertz Global Holdings Inc., Avis Budget Group Inc. and Enterprise Holdings to drop policies they adopted calling for the completion of all recall repairs before renting vehicles, Shahan said. Other companies wouldn’t have an incentive to adopt such policies, she said. Because most companies don’t rent cars under recall and there are some state prohibitions already in place, the bill won’t roll back any current consumer protections, Commerce Committee spokesman Frederick Hill said in a an e-mailed statement. It wouldn’t preempt stronger state laws or stricter policies rental-car companies already have in place, he said. “This provision would establish a new pro-consumer requirement that the recall status of a vehicle must be disclosed before renting,” Hill said. The National Automobile Dealers Association is studying Thune’s legislation, said NADA spokesman Jared Allen. The group in 2013 had concerns about the attempt to ban rentals of all recalled cars, he said. The dealers had been working with U.S. Sen. Charles Schumer, D-N.Y., the bill’s sponsor, on changes that would mitigate the economic impact on consumers and small businesses, Allen said. In a May 2013 hearing, NADA argued that less than 10 percent of recalls sought by the National Highway Traffic Safety Administration were deemed serious enough to recommend that consumers stop driving until their cars are repaired. Alliance of Automobile Manufacturers cited the possibility that rental-car companies could seek damages from automakers over delays in getting recall parts. Alliance CEO Mitch Bainwol, who lobbies on behalf of General Motors, Toyota Motor Corp. and 10 other automakers, said at the 2013 hearing legislation to stop renting defective cars would be harmful to consumers because dealerships would repair the rental cars before their customers’ vehicles. The Houcks -- Raechel, 24, and Jacqueline, 20 -- died in a 2004 crash involving a rented Chrysler PT Cruiser. The car had been subject to recall for a defective power-steering hose that hadn’t been repaired. The women lost control after the hose caught fire and the car collided with a tractor-trailer.